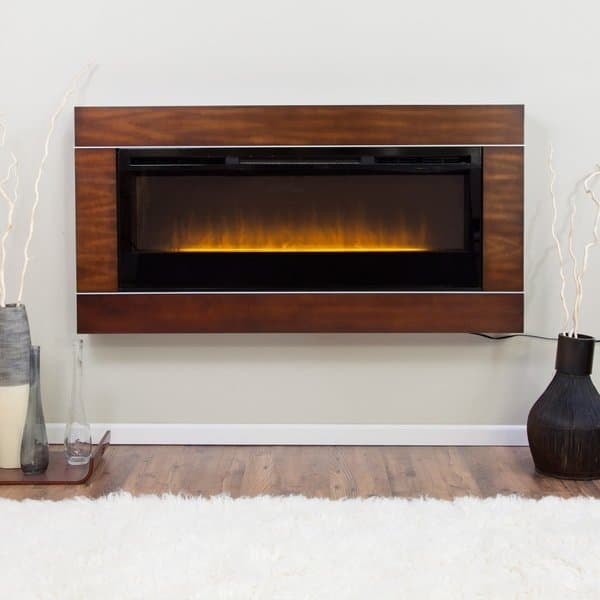 The Cohesion Wall Mount Electric Fireplace by Dimplex gives you variety when it comes to your fireplace options, such as where and at what height to hang on your wall. Opt for regular wall hanging, semi-recessed placement or completely recessed placement. The Cohesion features a substantial frame that comes in either a deep Black or dark Burnished Walnut finish- you choose. The flames are born of the Dimplex patented advances that blends technology, artistry and craftsmanship to present a flame visual that mimics the true look of a traditional fire. The flames themselves do not give off heat, but should you choose to engage the system, you may supplement the flame visuals with a powerful fan-forced heat source that will warm the room until cozy, just like a real fire. You’ll enjoy the carefree use and upkeep of the Cohesion. It can be adjusted with a convenient remote controller. 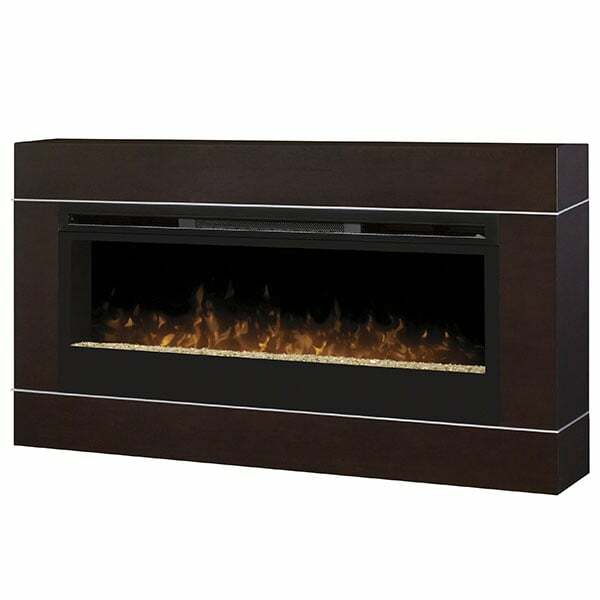 And, it doesn’t give off any of the pollutants, dirt, soot and other inconveniences that traditional fireplaces emit. Dimensions 62.5" W x 31.75" H x 7.6"